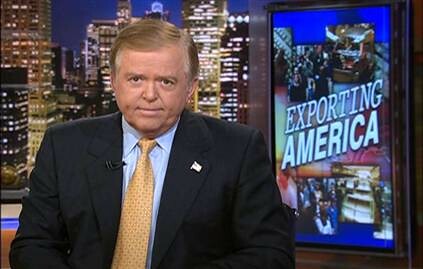 Rose:	Lou Dobbs used to be a friend of yours. Turner:	He's still a friend of mine. Turner: But I think he's kinda flipped out. I wouldn't... Tom Johnson and I wouldn't let him do this when he was working at CNN. He just had to do the financial news straight, you know, and not fill it up with his opinions about who he hates and doesn't like the Mexicans and immigration. Rose:	So what would you do if you were running CNN today? Turner:	I'd call him in and chew him out. 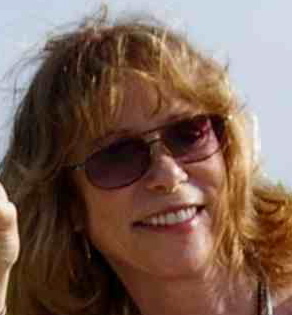 Rose:	You'd say either you tow the line or you can't work here? Rose:	That's what you'd do? Turner:	That's what we did before. The full one hour DVD of this Charlie Rose/Ted Turner interview was provided to me in the summer of 2008 by Phillip Evans, Vice President and Chief Communications Officer of Turner Enterprises. I've been monitoring Dobbs for years, tevo'ing his shows and observing his worsening narcissism. Dobbs is an anomaly on CNN in how he operates more in service to himself than in service to CNN. He stands apart from the network's other anchors in his rabid ideological rage and megalomaniacal self-promotion. Wolf Blitzer may be a drama-seeking nudge with annoying subject-ridden phraseology, but one could hardly imagine Blitzer tagging himself Mr. Independent and reading only admiring emails on-air, including demands that he run for President. Right now the speculation is that Dobbs will be moving to Fox, on the heels of his ilk, Glenn Beck and John Stossel. That may be true, but the question I and others continue to ask is why Jonathan Klein, President of CNN/US, has kept Dobbs employed for this long - considering Dobbs' vengeful attacks on Latinos, Latino organizations, ACORN, the Southern Poverty Law Center, and more. I've sought this answer from CNN on several occasions. I've also asked CNN's response, and Lou Dobbs' response, to why Dobbs wasn't included in post debate and post event analyses during the 2008 Presidential campaign as part of CNN's self-anointed "best political team on television"? Dobbs did make one or two appearances, but the disharmony between Dobbs and the rest of "the team" was palpable. During one post-debate event, Donna Brazile figuratively wiped the floor with Dobbs, chastising him and telling him he "wasn't her beau," which left Dobbs crimson and toothily bemused. Brazile handily won a big one for "the team." Why isn't Mr. Dobbs included in analyses along with other CNN anchors who do joint/group analyses under the heading of "the best political team on television" after major media/political events (ie: presidential press conferences, etc.)? Mr. Dobbs made a few pre-election appearances with his colleagues - and then no more. Lou is one of CNN's top anchors. In addition to his nightly show on CNN, his visibility has increased in the last year with a daily rebroadcast on HLN, live election specials on HLN, and commentary on CNN.com". From a CNN spokesperson. When I asked Disbrow why the need for an anonymous spokesperson for such a non-response to my question, she obliged by saying I could use her name. Hence, I am. This benign exchange was more than I ever got from Dobbs' office which refused my phone requests for interviews and answers to simple questions. Still the person I've most wanted to speak with regarding Lou Dobbs has always been Ted Turner. It was Turner who brought Dobbs to CNN in 1980 at the suggestion of Sam Zelman, then executive in charge of on-air hires for the launch of the new cable network. I knew Dobbs and Turner had endured a long friendship. I believed Turner would be appalled by Dobbs' unmitigated bias and viciousness toward specific ethnic groups, and toward the United Nations to which Turner was a billion dollar donor. Though I didn't speak directly to Turner who was then out of the country, Phillip Evans, his Communications Director, couldn't have been more helpful. He was so eager to share Turner's Charlie Rose interview that he messengered the DVD overnight. If Jonathan Klein were as responsible an executive as Ted Turner, and as conscientious a citizen as Ted Turner, he would be as concerned as Ted Turner about the danger of Lou Dobbs. But Klein has been both derelict and impotent in his refusal to address Dobbs' disparagements which devalue CNN. Ted Turner would quash them. Here's an exchange last year between Dobbs and Ted Turner when Turner appeared on Dobbs' show. Although I hadn't watched much television news, I did have some strong opinions about what I wanted CNN to be. While the networks and local news stations seemed to follow an "if it bleeds, it leads" rule, centering their broadcasts on murders, car wrecks, disasters, and the like, I wanted us to do more serious journalsim and to go deeper into the more important issues of the day. I also wanted to present the news in an unbiased fashion. At that time, some of the evening anchors, including Walter Cronkite, were injecting their own opinions into the telecasts and I didn't like it. [Reese] Schonfeld and I decided that on CNN, news would be the star, not our on-air people. Those who value journalism would value Ted Turner's vision. One would hope Jonathan Klein would also value that vision. But if Klein did value that vision, Dobbs would already be gone. Dobbs violates two of Turner's tenets: he is biased and he presumes himself the star. And the result of Dobbs The Star: CNN is now tarnished and Klein and Dobbs are both to blame.